The CUPS Board of Directors is excited to announce that next year CUPS will offer new service opportunities in Texas through collaboration with several U.S.-based organizations. There is also information in this article about our plans to serve in Mexico in 2011. Here is some basic information about the three new opportunities Louise has identified and the Board has enthusiastically approved. 1. Working with Proyecto Azteca (http://www.proyectoazteca.com) based in Pharr, Texas, CUPS volunteers will help repair homes, many of which house elderly or handicapped individuals. Projecto Azteca is similar to Habitat for Humanity in that applicants are required to put 'sweat equity' into their house. But Projecto Azteca's income eligibility standards for home ownership are far lower than are Habitat's. Also, prospective homeowners are required to attend classes on several topics related to home ownership and financial independence. Homes are built on Projecto Azteca's building site and moved to the owner's colonia lot. CUPS, however, will focus on repairing existing homes which are located in one of five colonias in Hidalgo County. Small project repairs may include the roof, handicapped access ramp construction, bathroom remodeling, or interior repairs due to a leaking roof. Tools for projects are available as is construction assistance. Work on roofs or with power tools is restricted to volunteers over 18 years of age. Projecto Azteca can handle groups as large as 30-40 people. will provide CUPS volunteers with the opportunity to reflect the love of Jesus Christ by bringing mobility and dignity to those in developing countries who are unable to walk. 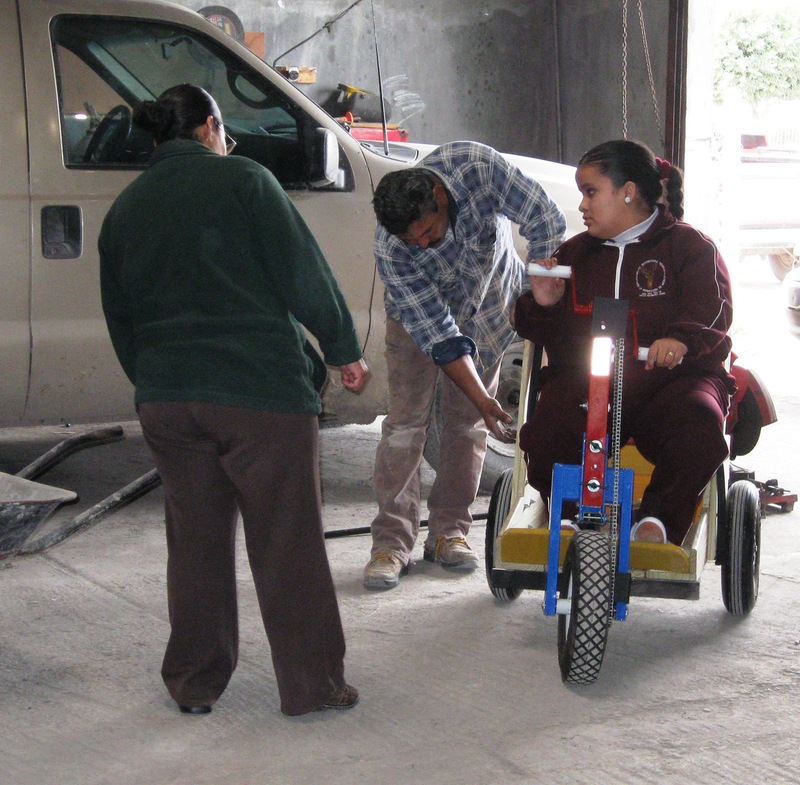 In PET's fully equipped warehouse, volunteers can build and paint these "carritos" as they are called in Mexico. Four PETs have been placed with mobility challenged youth and adults in Valle Hermoso by CUPS. Many more PETs go to Mexico for distribution both along the border and in the interior of Mexico. PET can accommodate 12 volunteers. Their minimum age is twelve, with direct adult supervision. 3. 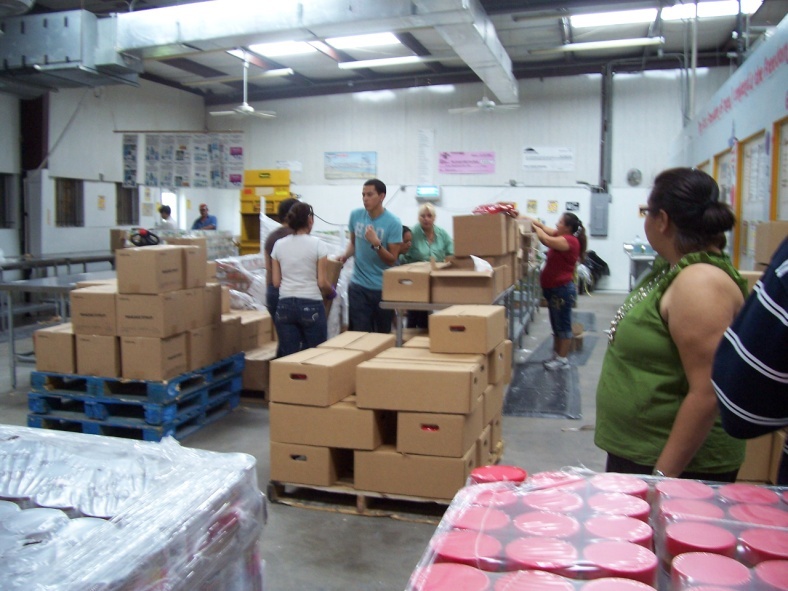 The Food Bank of the Rio Grande Valley (http://www.foodbankrgv.com) serves four counties along the US Mexican border. In the South Texas/Valley area, more children under 17 go to bed hungry than in any other part of the United States. Volunteers to sort and distribute food are critical to their collection and distribution effort. The food bank can accommodate 12 or more volunteers depending upon the particular task at hand. Children of school age are welcome to participate along with adult volunteers. CUPS will work with work group leaders to channel volunteers into one, two or all three U.S. opportunities for service. We look forward to creating a customized experience for each work group! In addition, at least one Mexico-based project will be undertaken next year. CUPS has received requests for help to build kitchens, libraries, and classrooms next year. 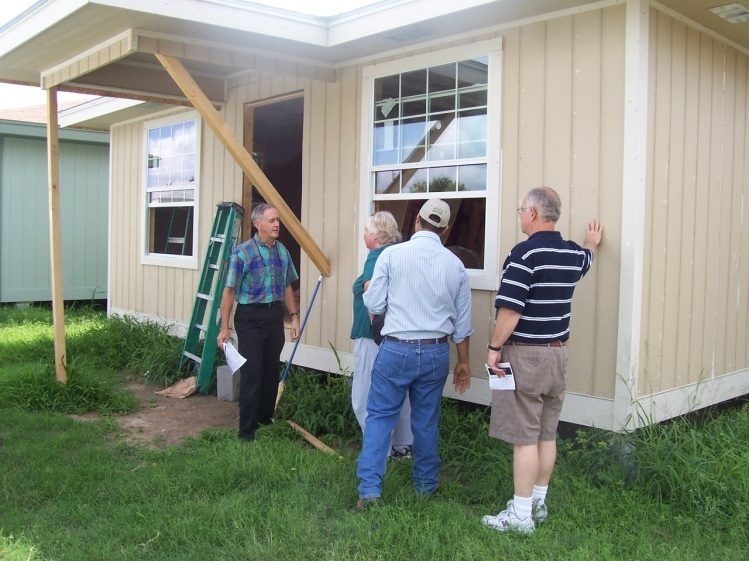 We were able to complete two projects in 2010 because of the significant levels of community involvement along with the presence of two church volunteer groups. CUPS has not, and will not, forget the people and the compelling needs that have gone unmet in Mexico. While we will offer project work on the U.S. side of the border next year, we hope that approved projects at schools in Mexico can also be completed. Those work groups that were in Mexico this year had wonderful experiences, as always. Mission teams that are accustomed to flying to the Rio Grande Valley may continue to fly into Harlingen or may look at options for travel to McAllen. Hotels and motels in the McAllen area are available at all price points. For lots of information about the McAllen area, hotels, restaurants and more, check out http://www.mcallencvb.com. In addition, CUPS has identified two camp-type locations that offer group housing at reduced costs. El Instituto is located in Weslaco, and offers bunk bed lodging in rooms of various sizes for 18 people. 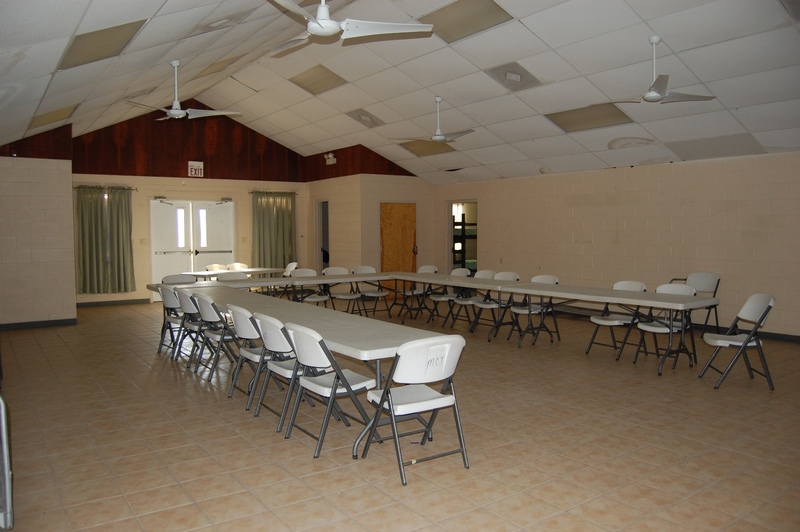 The facility includes a basic kitchen, a community room for dining and fellowship, and 3 full bathrooms with showers for $15 per person per night. (A few more guests could sleep in the common area if they bring sleeping bags at a cost of $10 per person per night.) This facility is used for pastoral and congregational training by Mission Presbytery, in cooperation with the SW Lutheran Synod. The San Pablo Lutheran Church shares the grounds with El Instituto. Camp Thicket, adjacent to the Estero Llano Grande State Llano Park in Weslaco, offers lodging in the midst of a state park with ample opportunities to enjoy nature, especially bird watching. 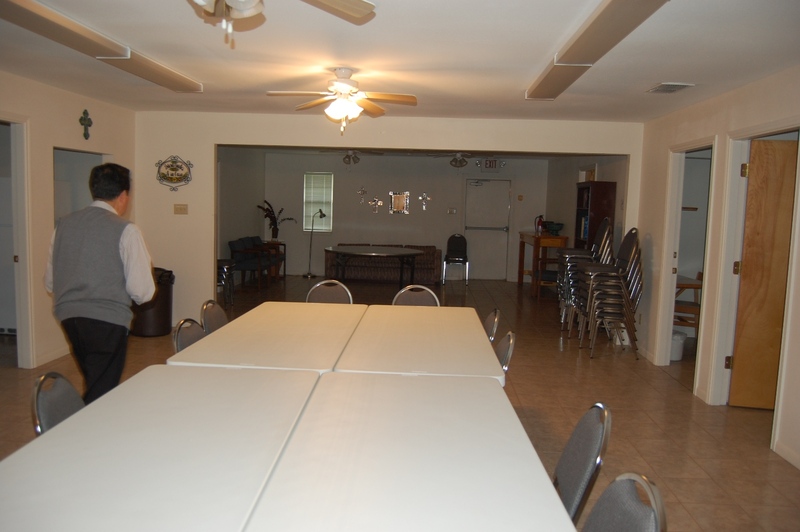 The South Facility has bunk beds for 50, an ample kitchen, and large room for fellowship and dining and a swimming pool. Fees include a $250 deposit, a daily charge of $250 plus a per person cost of $15 for adults and $11 for children under 12 per night. Use of the pool is at an additional cost. We look forward to answering your questions and helping you design a fabulous mission experience for your group. Contact the CUPS office at 956.686.7456 to reserve your week now!